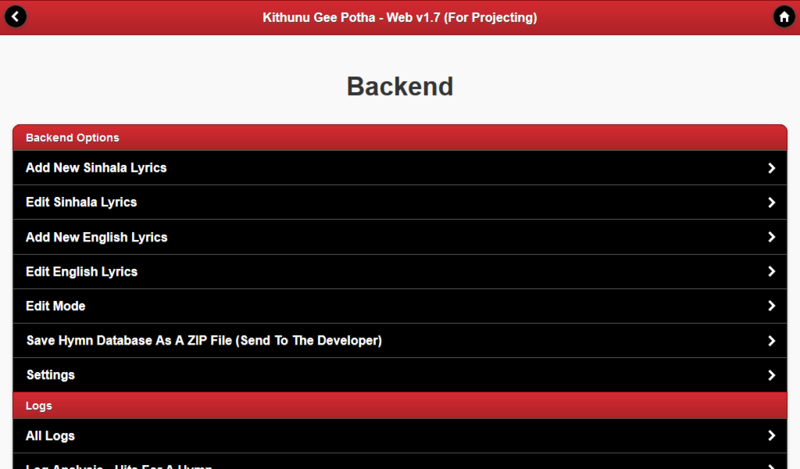 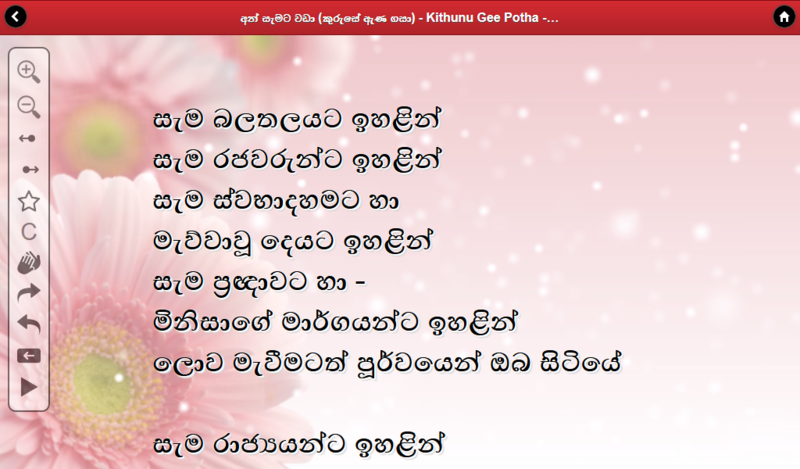 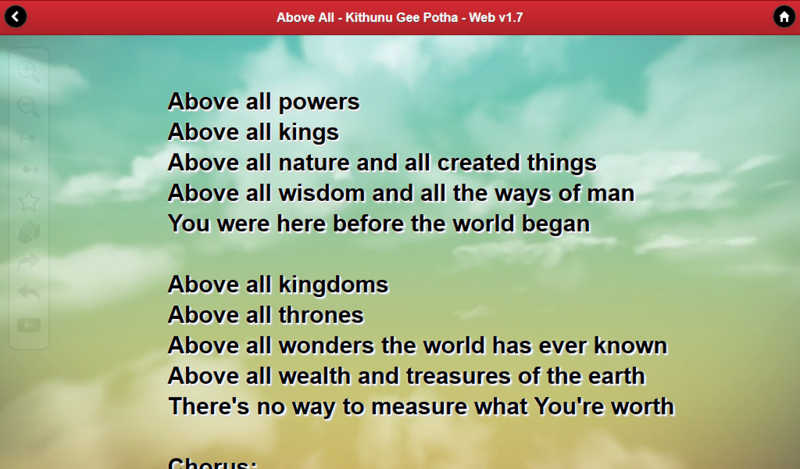 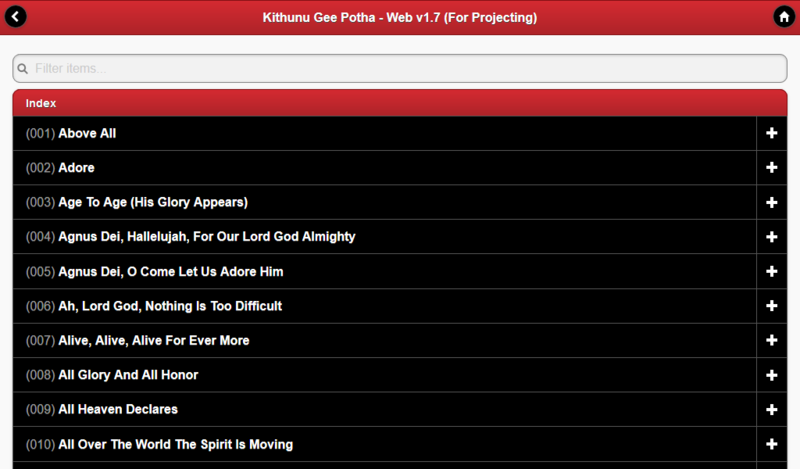 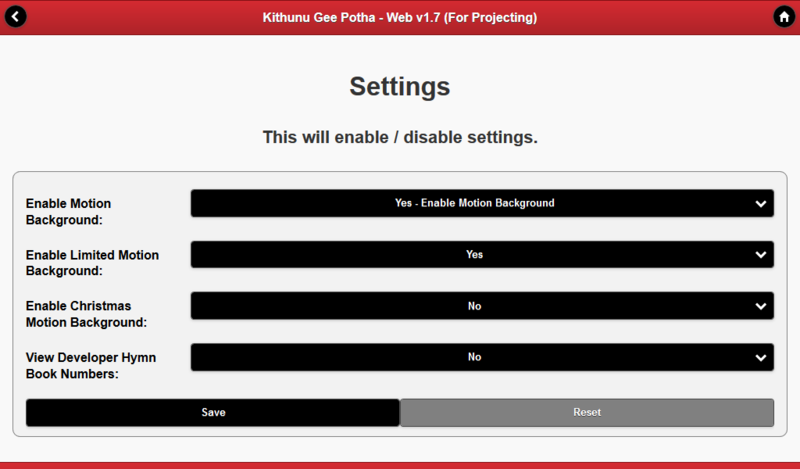 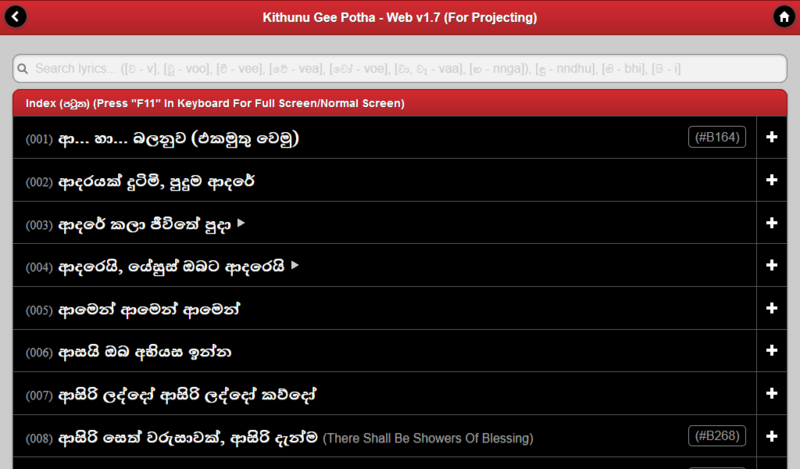 Kithunu Gee Potha - Web (For Projecting) is a hymn lyrics offline web app developed for small Sinhala Christian churches with minimum resources but who are born again, and believes in only One Living God. 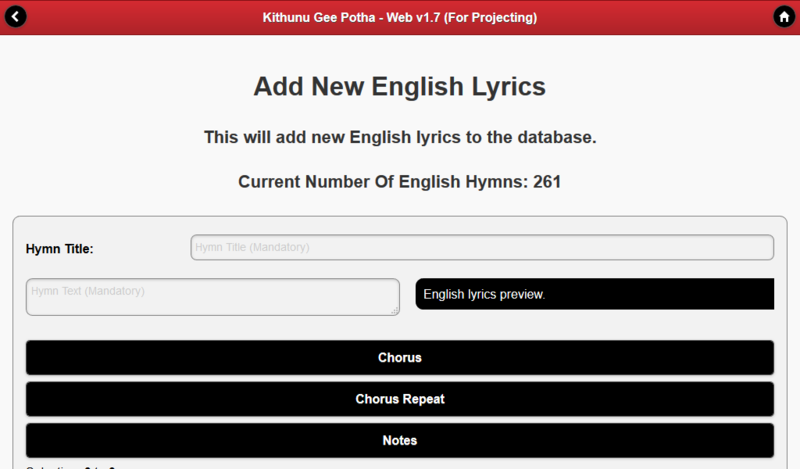 You can quickly search and view lyrics easily for projecting. 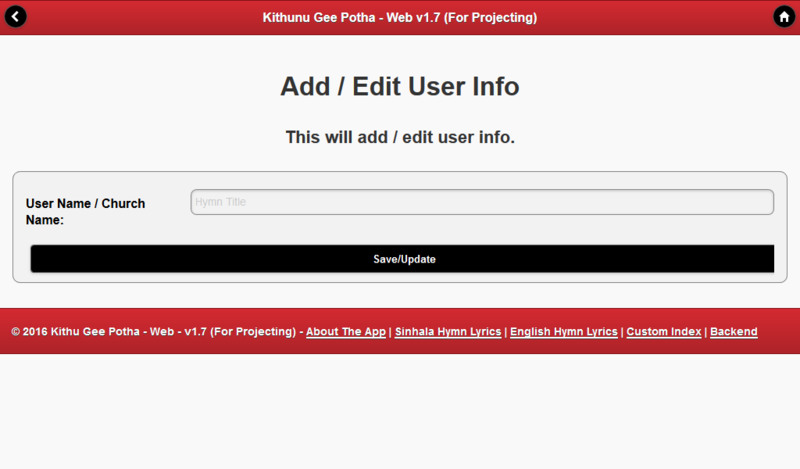 Also you can zoom in, zoom out the text, move left or right, or even go to next verse or chorus by keyboard press.